ut the stems of the methi first. Otherwise the soil remaining on the roots and the stem will cause the methi to become soggy and smelly. 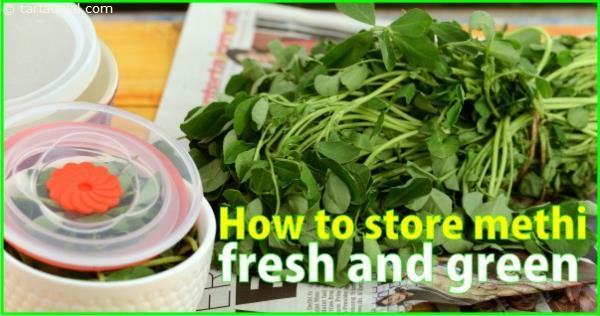 Now, store it in an airtight container in the fridge, so that it does not absorb any moisture. It will last for three to four days. If wrapped in a newspaper, it will last for up to a week.